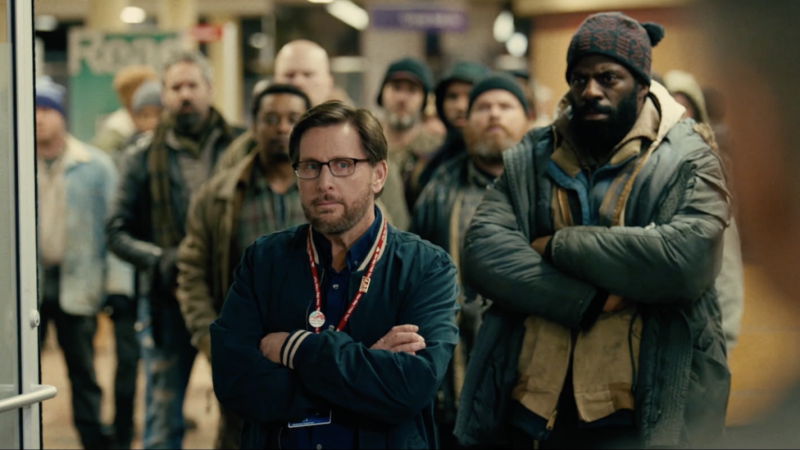 Actor and director Emilio Estevez will make a special appearance at the 2019 Boulder International Film Festival (BIFF) for a screening of his film, The Public, and be presented the Festival’s prestigious Vanguard Award. In addition, Mr. Estevez will participate in a Q&A with Ron Bostwick following the screening on Saturday, March 2nd at the Boulder Theater. Emilio Estevez appeared in such critically-acclaimed films as The Outsiders, The Breakfast Club, Repo Man, and St. Elmo’s Fire ;before writing and starring in That Was Then, This is Now. He directed and starred in The War at Home with his dad Martin Sheen (previous BIFF award-winner), and wrote, directed and starred in The Way with him in 2010. Other film credits include Mission: Impossible, and the Stakeout, Young Guns and Mighty Ducks movies. An unusually bitter Arctic blast has made its way to downtown Cincinnati. Librarians Stuart Goodson (Emilio Estevez) and Myra (Jena Malone) see their regular day shaken up when homeless patrons decide to take shelter in their library for the night. What starts as a peaceful sit-in quickly escalates into a face-off with the police, Detective Bill Ramsted (Alec Baldwin), Public Prosecutor Josh Davis (Christian Slater), and the media. This insightful and uplifting film tackles some of our nation’s most challenging issues, and sets the dramedy inside one of the last bastions of democracy-in-action: your public library.